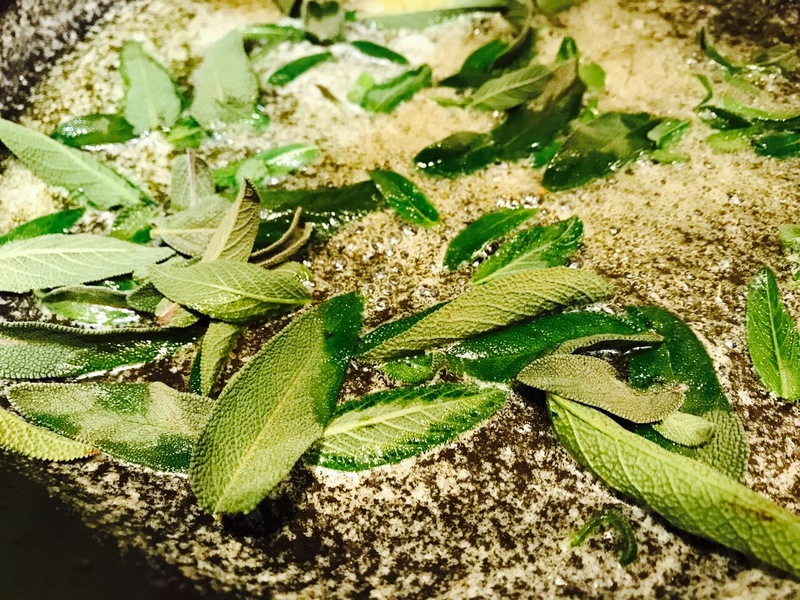 Browned butter and sage! What could possibly top those flavours? 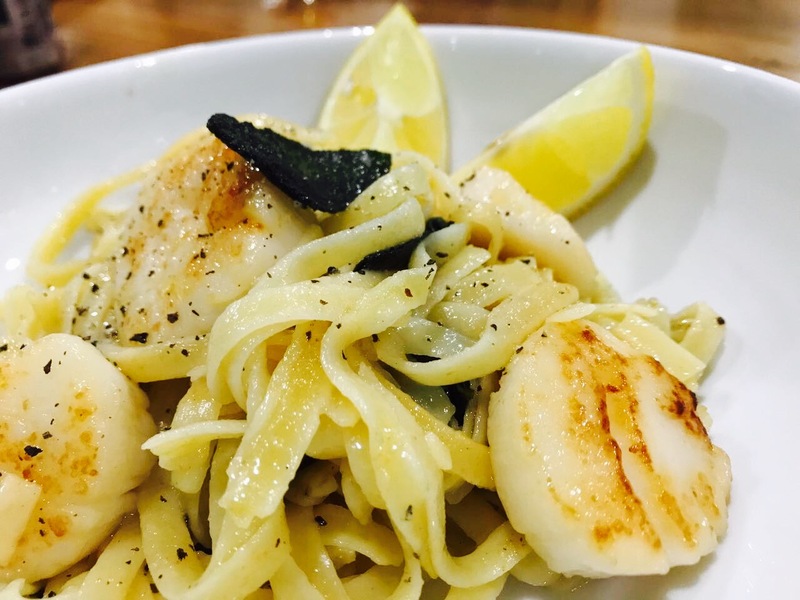 I will tell you what… scallops! This recipe is ridiculously simple and tastes like a dish you would buy at a five star restaurant. A nice quick dinner to impress your guests! 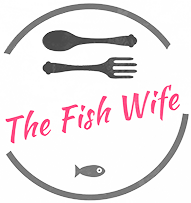 Or, if you are new mommy like me and “Date Night” is a thing of the past, you can create a romantic dinner for two at home. 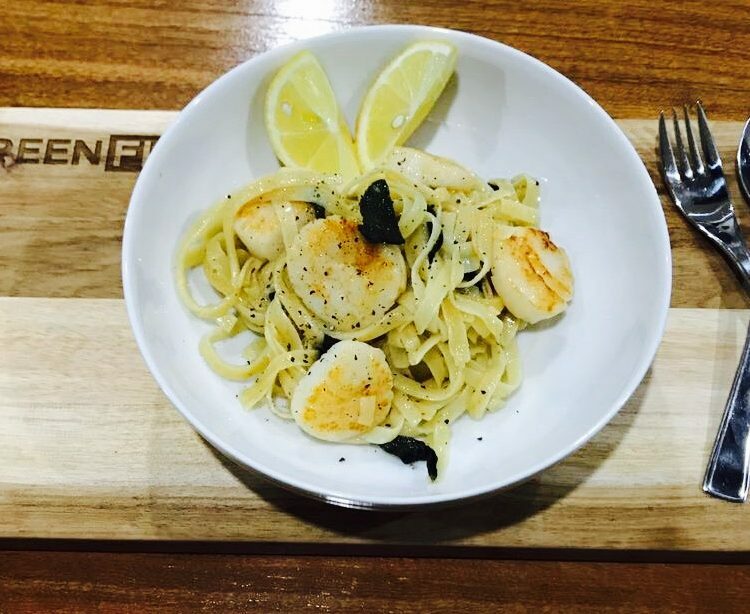 Quickly throw down a table cloth, two candles and a big bowl of scallop pasta in front of your hubby and he may just remember why he married you in the first place! 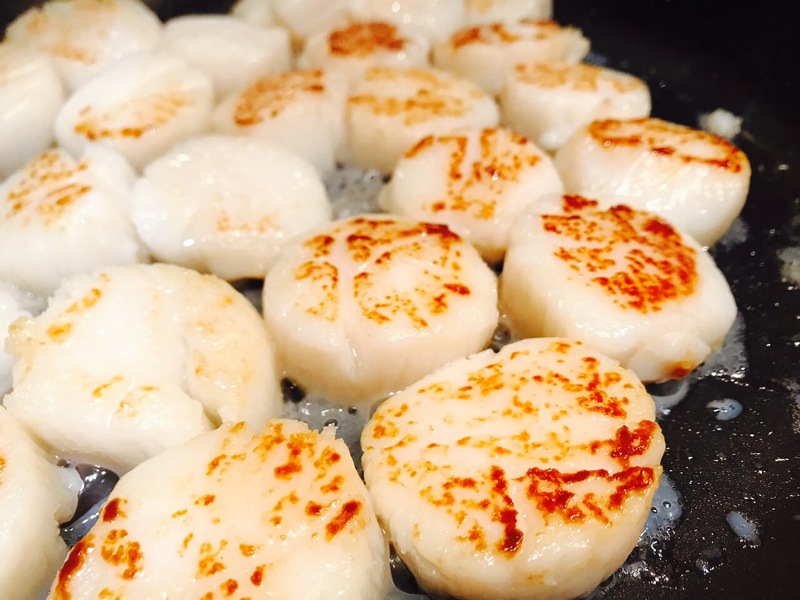 While the pasta is cooking, sear the scallops. Dry scallops off with a bit of paper towel. In a pan melt the 1 tablespoon of the butter on a medium to high heat. Drop the heat to medium and add the remaining 4 tablespoons of butter, allowing it to bubble and melt and turn a golden colour, being careful not to let it burn. Add the sage leaves and fry for a minute or two. 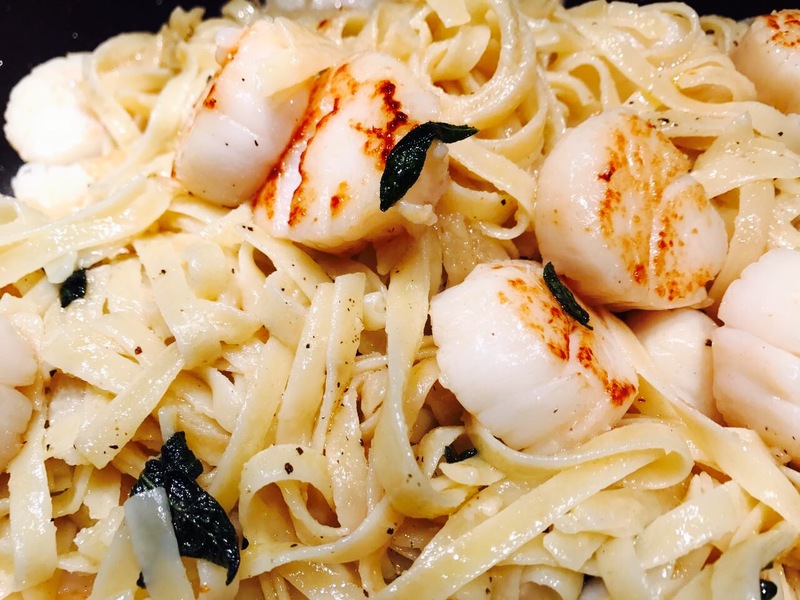 Place the pasta and seared scallops into the browned butter and sage mixture and toss together. Add the parmesan, salt and pepper and toss once more.